As the re-ORBAT process picks up pace within the army, with battalions and regiments shifting to their new Army 2020 structures, some information starts being available to paint a picture of how things are going. Most affected by Army 2020 changes, the Light Role Infantry battalions are restructuring to reduce their regular manpower, and integrate reserve contributions to make up for part of the loss. The full unit establishment, all-ranks, all-corps, for a Light Role Infantry battalion in Army 2020 is just 561 men. The reduction has had the most visible effect on the Rifle Companies, which are all losing a Rifle Platoon (from 3 to 2), which is to be replaced by a platoon supplied by the paired Reserve battalion. The third regular platoon from each Rifle Coy is being re-roled to a Manoeuvre Support Platoon armed with 6 GPMG with Support Fire equipment. The end result is that the Machine Gun Platoon in the Manoeuvre Support Company vanishes, replaced by three platoons assigned directly to the Rifle Coys. An experiment was run to make these platoons Fire Support Groups including also Javelin anti-tank missiles and GMGs, but eventually a decision was made to keep the two things separate, and task-organize the Fire Support Groups for training and operations. This simplifies the training and preserves specific experience, as the Anti-Tank Platoon can focus on achieving best effect with Javelin and with the Grenade Machine Gun. The battalions are using part of the manpower of the Machine Gun Platoon to re-form the Assault Pioneer platoon which in recent years had practically gone away. In many cases (if not in all, i haven't been able to verify for all battalions), the Assault Pioneer platoon is also the Drums / Pipes / Bugles platoon of the battalion. The Recce platoon within the battalion has seen a downsizing from 32 to 24 men in three sections. 1st Battalion The Royal Anglian Regiment, "The Vikings", has been running an Army Reserve Integration Pilot since July 2013 and is leading the way on Army 2020 restructuring. The battalion is paired to 3rd Battalion Princess of Wales Royal Regiment (3 PWRR) under the Army 2020 structure. in several events, including a 2-day exercise on Salisbury Plain and Live Firing in Warcop. At the end of this preparation stage, the Reserves Platoon would deploy to BATUK in Kenya, integrated in the regular company, and immediately face the Combined Arms Live Firing Exercise (CALFEX) there. The report of the experience is, unsurprisingly, a mixed account of success and failure. 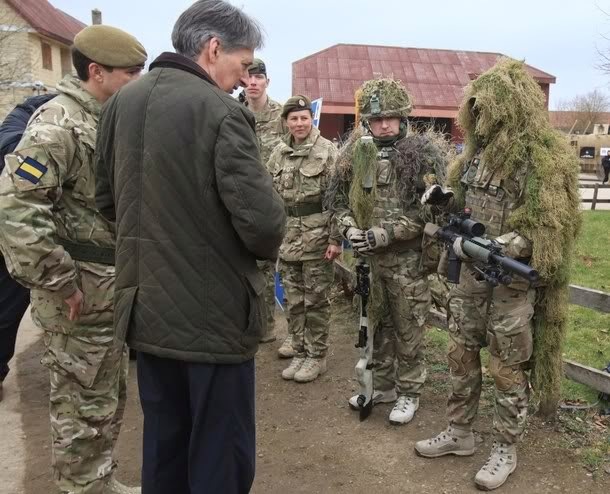 As is to be expected, reservists had trouble in attending all the UK training events, and it was hard, and often impossible, to have everyone present in one place to face training events such as Live Firing in Warcop. The platoon, however, made it to Kenya as planned, and took part in the CALFEX. We don't have and probably won't have the details anytime soon, but the report we have acknowledges that the platoon took part in the very same training events as the regulars: again, as was to be expected all along, the reservists weren't as prepared as the regulars and could not employ all the weapons and equipment. The soldiers of today are loaded with a huge amount of kit, all of it quite complex and specialised: all of it comes with huge manuals and important training needs attached, and it can't surprise anyone to learn that the reservists struggle to take it all in the limited time they have to train and prepare. comes with positive tones. At the very least, however, the army is faced with the problem of a two-speed force, which comes with limitations that will have to be known, managed and mitigated as best as possible. In order to provide support to their paired battalions, the Reserve is changing its own ORBAT. Army 2020 Reserve battalions are being progressively standardized on an establishment of around 400 men in one HQ Company and 3 Rifle Companies (which means several companies have been cut off and/or merged). Each Rifle Coy comes with a Support Weapons Platoon and 2 Rifle Platoons. The output of the Reserve battalion, once fully adjusted to the planned Army 2020 structure, should include 6 Rifle Platoons, one Mortars platoon, one Javelin missile platoon, one machine gun platoon and one assault pioneer platoon. The HQ company includes the Quartermaster department, a Motor Transport element and a CIS Platoon. A Reserve battalion, once fully structured and manned, should be able to provide the 3 Rifle Platoons needed to integrate the paired regular battalion, plus a number of reinforcements for the other components of the unit. The reserve battalions apparently continue to hold a supporting relationship with their regiment, as well as that with the paired regular battalion. As the 1st Royal Anglian - 3rd PWRR pairing remind us, the pairing is often done with units of another regiment entirely. The second Royal Anglian battalion is paired to 3rd Royal Anglian, but this is not at all the rule for all units. 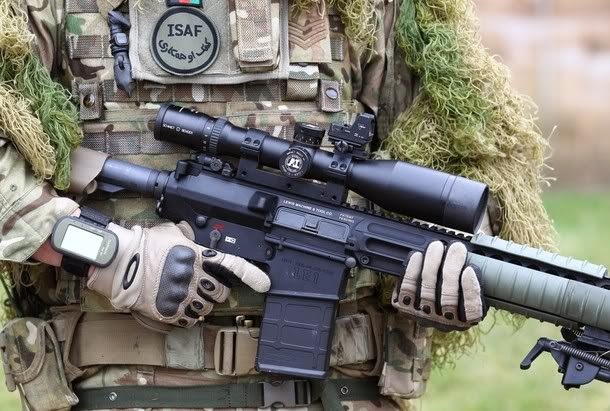 The battalions are being equipped with the FIST 1A sights, in particular the Lightweight Day Sight (Elcan Specter 4x), but also the night vision equipment. The new General Service Pistol, the Glock 17 Gen 4 (L131A1), is in delivery and apparently the new fighting knife is already being issued, as well. Next year there should be the first deliveries of the VIRTUS tactical vest and load carrying equipment, which are for now in use only for testing and development. Selected groups in the Army are being issued the kit to try it out and make their evaluations and provide feedback ahead of the final choices. The L129A1 Sharpshooter rifle is being taken into the core budget, but the latest report suggests that the weapon is still searching its actual place in the Army of the future. The Small Arms School Corps, tasked with developing the training and methods for best employment of the weaponry of the Army, say that, despite the welcome the rifle received by the troops on the ground, the L129A1 isn't showing the dramatic performace improvements it was supposed to deliver. Its effectiveness out to 800 meters, the distance for which its 7.62x51 mm calibre was believed to be indispensable, is being questioned. The rifle is reportedly not showing particular improvements over the L86A2 Light Support Weapon, the long-barreled brother of the L85A2 assault rifle. The L86A2 during recent firing trials ended up being the best performing weapon out to 500 meters, and more than held the comparison with the L129A1 out to 800. One thing that is given as certain is that the ACOG 6x sight is part of the problem of the L129A1. It is not ballistically matched to the rifle, so that it represents a less than optimal solution. Funding has been provided to modify the graticule in the sight to ballistically match it to the weapon and to the 16 inches barrel. The modified sight should be in testing already, and it should eventually enable a repeat of the tests and competition with the L86A2 to write down a final assessment and decide the way ahead for the two weapons. The selection of the ACOG 6x for the sharpshooter requirement was done under Urgent Operational Requirement, of course, but one has nonetheless to wonder if a better experimentation before making the purchase wouldn't have been possible. In the meanwhile, the L86A2 is indeed making a comeback already, being reassigned to the infantry sections in the sharpshooter / support role. It is being re-rolled into service in numbers, and there is potential for upgrades to better perform in the role. the Small Arms Corps has been testing an upgraded variant, with the old bipod replaced by the same used on the L129A1 and a completely reworked forestock coming with picatinny rails, like already done with the L85A2. From top to bottom, the L86A2 in its traditional configuration with SUSAT sight; the modified L86A2 with new forestock, bipod and muzzle (possibly even the barrel has been changed?) and ACOG 6x sight; and finally, the L129A1 with ACOG 6x. The L129A1 was at one point expected to be removed from the infantry sections and assigned as Sniper No2 weapon, to fullfil the Sniper Support Weapon requirement. The latest Small Arms School Corps report suggest that this decision has been reversed: the L129A1 has not been accepted as long-term solution to the requirement, which is now being formalized to then launch an acquisition programme. Despite the apparently brilliant start, the L129A1 is struggling to secure a role for the future. It is another chapter in the never-ending controversy that pitches the 5.56 round against alternatives of all kind, from nearly designed "intermediate calibres" up to the traditional 7.62. Among the equipment to soon be replaced, there is also the famous M18A1 Claymore mine. The evaluation process is complete, and the new Fixed Directional Fragmentation Weapon will be assigned to units in training this December. ISD is planned for September 2015. The FDFW is virtually identical to the Claymore in general look, concept and effect, but with an improvement in lethality. The new mine is produced in Finland. There are no details available, but probably the new mine will also respond to other requirements such as inert explosive for safety, and hopefully weight reduction, which is always welcome. 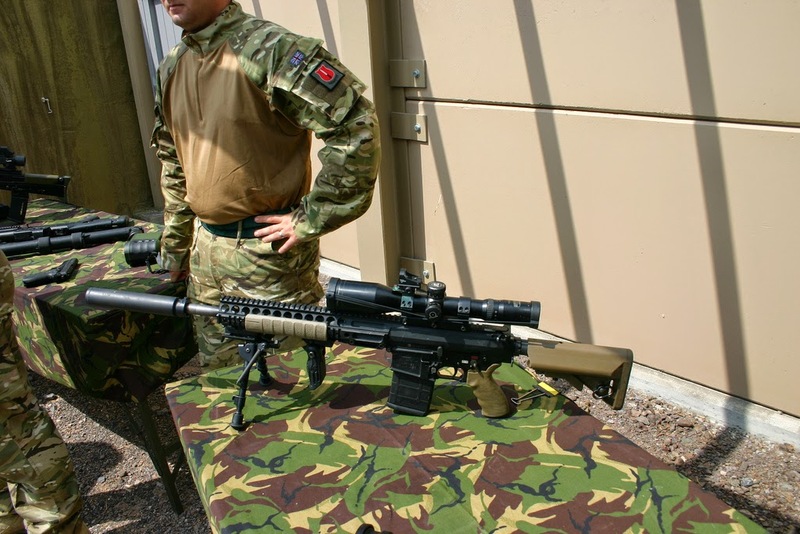 The army is working to introduce a Tactical Hearing Protection System capable to automatically protect the user from excessive battlefield noise; new laser targeting and mortar fire control computer and an experiment is ongoing to verify the tactical merit of having suppressors available for the whole range of weapons employed by the infantry, including the GPMG. A whole platoon equipped with the suppressors will test them during a two-weeks firing programme planned for Novembe. For all of 2013, the 60mm Light Mortar continued to be part of the training for the infantry battalions, but the weapon is expected to have to go after operations in Afghanistan conclude. The mortar was procured as UOR to reintroduce a capability that had been available for ages in the Platoons, thanks to the 51mm mortar. It was phased out believing that the introduction of under slung grenade launchers would provide a proper replacement, but the experience on the ground in Iraq and Afghanistan proved it wasn't quite the case. Last year, the Army said that the Platoon Mortar would eventually leave the army again, with the weapons mothballed. Only the PARA and Commando units would retain a number of them in use, to preserve their capability and to keep alive expertise of their employment. This is another example of cut corner. It is to be hoped that the decision will be reversed, like it has happened in other cases. The integration concept has merit, and in theory it should enable the delivery of strong deployable battalions, even after the harsh manpower cut. The question is: how much can effectively be squeezed out of the reserve, and how reliably? Is it going to deliver what is needed, when it is needed? The Army needs to be aware of the limitations of the concept, and plan accordingly. My thoughts on some parts of Army 2020 have not changed. The manpower limits are tight, and are causing serious issues and lots of compromise. Many corners have been cut in the attempt to fit into a piece of cloth just too small to get everything covered. As we know, the government did not want to deal with the outcry connected with the loss of capbadges and specifically ordered the Army to remove no more than 5 battalions of infantry from the ORBAT, and avoid the loss of any regimental badge. In my opinion, this has had a disproportionate effect on Army 2020, forcing the Army to stitch together a plan as workable as possible, while being forced to maintain more battalions and brigade HQs than it can actually man, equip, support and train. It has to be said, Nick Carter and his team came up with quite a good plan, probably the most convincing they could put together given the political constraints... but for the good of the army and of the nation, it would be better to adjust the plan in the near future, because capability matters more than capbadges. As i've said several times over the past two years or so, i believe it would be better for the army to have less battalions, but with more adequate establishments. The number of brigades should also be tweaked, and support units (such as Signals, in particular) should have to be uplifted to re-align better with a structure that, in my opinion, would have to primarily focus on six brigades (the three reaction ones, and three adaptable ones, all three "complete" instead of the current arrangement of "3 to make 2") plus 16 Air Assault brigade. This is doable, i believe, within the manpower figure for Army 2020, if the Army is allowed to employ that manpower freely instead of under such severe capbadges constraints. 3 homogeneous armoured infantry brigades and three lighter brigades would enable a more effective and rational force generation cycle, and deliver, in each year, two brigades trained at suitable level to engage on operations, helping to meet the defence guidelines set by the SDSR, which assumes up to 3 simultaneous, significant operations. But i will discuss in detail my proposal for the army in a future article. I would like to make a series of proposals for the three services ahead of the SDSR 2015. So, watch this space. As you know Gabriele I work very closely with the military and am contracted to deliver many courses that relate to CBRN. I have spoken to many Infantry SNCO’s about 2020 and to be honest things are never as bad as they appear. The reduction of three regular to two regular Platoons is of little consequence to a Battalion, as what is has done is allow full manning and in some cases where Two Battalions have become one, over manning of Platoons. As I am sure you would have been aware Battalion strength or indeed any Unit strength was in most units a paper exercise, because they were never up to full strength. Now they are at almost operational strength, not quite, as a few posts would only be initiated during a conflict. The issues are, will or can that regular manpower be maintained and as you point out the Reserve Platoons do cause issues with Training burdens when doing the pre-work out training as it is not as exciting or interesting as going on the real exercise in Europe, Canada or Africa to name but a few places. The case in certain areas is not that the individual may not get the time off from work but they may not be interested in taking the time off and just do the bare minimum to allow them to go with a Regular Battalion on exercise. Will Regular Strength stay at 82,000, who knows, but I do not think we have seen the end of this, the military has a habit of reinventing the wheel every so often. Totally agree with the Sharpshooter argument, at first it was thought to be the bee’s knees as we say in the UK, however opinions change fast because a squaddie is never happy unless he is moaning about something and it’s a case of making it work for now. I have asked about the shotgun and been told that it is out completely and was hardly used for the purpose it was intended. The 5.56 verses 7.62 dilemma rumbles on with the Royal Marines throwing their arguments in about the use of the L85A2. Can’t leave without a comment CBRN related, my sources indicate that only 9 Fuchs will be in Falcon Squadron, the other two used for trials and evaluations on future equipment. Of the 9, one will be kept at the Sqn HQ to provide confirmation of any findings by the other 8, which will work in pairs or be tasked in pairs. That Sqn HQ Fuchs will also have direct reachback capability for confirmation purposes. Nice bit of info there. On Fuchs, that would explain why the tender notice for refurbishment covers only 9 vehicles. I suppose those used for testing would be loaded with new kit more that "refurbished" like the others...? On the shotgun, i guess you are talking of the L128A1, the Benelli taken as UOR...? I wondered about that, a recent tender notice did not include it among the weapons for which spares would be purchased. There is however mention of an L74 Shotgun still, and a B7 weapon. The Long Range Precision Anti Structure rifle also seems to have been purchased, unless they are giving that title to the old AW50. I read of the requirement in 2010, but i never read anything about what rifle was chosen in the end. Do you know anything about these ones? As for the reduction in the number of platoons, instead, i hear what you are saying, but i'm not sure that is the right way to solve the manning issues, though! I'm sure more rational ways could be found, especially if the army had been allowed to consolidate on fewer, less manpower-constrained battalions, perhaps reorganizing regiments more widely to spread out the roles and to improve the recruitment process. One thing i'm not fully clear on is how these adaptable but larger and technically deployable brigades (correct me if i'm wrong but 7th, 11th and 51st?) can both slot into an enduring op but also remain as successors to the current 'regional' and essentially Territorial Army brigades that provide local contact points and civil support? Or is it a case of, for example, 11th brigade being the regional headquarters for the South East but if it were called on to do a 6 month stint overseas it would swap out it's Army Reserve elements to stay behind and be brought up to strength with other battalions migrated across from the wider adaptable force? I guess essentially i'm asking whether the on paper orbat of an adaptable brigade is what it would go onto active ops with or whether it's just these 2-3 brigade headquarters themselves which are useful skeletons around which a composite force could be built? The HQ of the brigades has a small, separate office responsible for the regional command, and the units for an eventual support to civilian needs in the area would eventually be surged from nearby brigades. The Deployable HQs should be 7th, 51st and 4th, but some units under their command would come from the rest of the Adaptable force. The supporting elements (artillery, engineers etcetera) are available only for two roulements (just enough to meet the barebone requirement of 5 turns by adding to the 3 Reaction brigades) and are controlled by Force Troops Command. Thanks that makes more sense to me now. Apologies i thought 11th brigade was earmarked as one of the deployable units. So you said in your post that you'd like to see 3 reaction and 3 properly kitted out and up to strength adaptable formations. Surely their would still be a need for some regional formations as well? Yes, there would be a number of regional commands, and a number of "spare" battalions in them, outside of the six brigades. Can't leave Northern Ireland and Wales without at least a battalion each, for example. It sounds like a neater separation of assets and a better way forwards: 3 heavy brigades in 1 division (plus 1 air assault) as the reaction force, 2-3 lighter adaptable brigades in another division and 4-6 small and spread out regional brigades under a 3rd. Plus i'd get rid of this thing of putting all of the artillery, engineers, signals etc into brigade structures. If all of the various units are to be assigned to various other higher formations then what's the point? Great report - but have the 81mm mortar platoons been taken out of the light battalion establishment entirely though? No, no, the 81mm mortar stays, as does the mortar platoon. My mistake not including it in the list, added it now. I have no idea why i skipped it and did not notice it. Thank you for another very informative post. However, could you indulge me and refer to them as 'light role infantry battalions'? As Light Infantry Battalions means something to me. Also, I note you mention Drum and Pipe platoons but not bugle platoons, again could that be amended? As to the reserve being added by platoon, I still think it would be better for everyone that it should be as a separate reserve company. I think this would work much better as some reserve battalions are from different regiments. I fully support the addition of a fire support platoon for each rifle company, I think this long overdue. However, I have seen nothing on how to keep deployable infantry battalions at full operational strength. I my view as an ex infantryman this can be done and would help. I agree with you on the cap badge front. We have enough infantry battalions for more than 6 brigades, but enough support, logistics, helicopters and deployable brigade HQs etc. Cutting the number of battalions and redeploying those men to give the army the five deployable brigades would be the right way forward in my opinion. Okay, i see your point. ; ) I'll apply those corrections. Another fine report but I somehow find the whole business of loss of weapons from the inventory somewhat depressing. When new infantry weaponry was purchased under UORs for the British Army, I thought that, if they went into the core, at last the Army would have a comprehensive range of infantry weapons. Let us take the 60 mm mortar (M6-895), for instance. Around 1,900 of these excellent mortars were purchased as a UOR to replace the older 51mm mortar that served on operations and yet now only the Paras and the Royal Marines will be using them. Seems like an expensive way to run an Army to me! Similarly with the L129A1 Sharpshooter rifle, which is apparently being taken into core but has an uncertain future (seem a bit of a contradiction in terms). It was highly praised when it first entered service but now, the L129A1 is seemingly struggling to secure a role for the future. It was designated as the primary designated marksman rifle and at least at least 1,500 rifles have been delivered. If these costly weapons are not to be deployed what a waste of the money originally spent on them. Paradoxically, maybe the MOD is trying to save money by either binning them or selling them off. The Army has plenty of the older L86A2 LSWs and perhaps they are trying to save money by standardizing. And now it looks as if the L129A1 might not even be selected for the Sniper No 2 role. Cbrn Guru might not agree with much of what I am saying and he is closer to what is happening than I am but I am going to plough on. The Benelli L128A1 shotgun seems another case in point to me. I’m sure I can remember good reviews of them when they were first procured. They were meant for the point man to provide a rapid response with both solid shot and buckshot. They would surely be useful in other contexts later on (e.g. jungle warfare) and exercising with them from time to time would be useful, rather than binning them or flogging them off. All of this seems to me rather akin to a firm buying expensive Rolls Royce vehicles for their “fleet” and then retiring them almost straight away because the old “white vans” are cheaper to run! I've seen just today a photo of reservists training to use a shotgun, but not the new Benelli, but the old L74A1 (Remington 870) which has been in service for years (but never really seen much possibly because SF kept them...). So that one is a big confusing indeed. The Platoon Mortar issue is a sad story, period. Every time they try and remove it, and then realize it is still needed. That's a big corner cut; one of those things i wouldn't want to see happening. I was surprised by the SASC report on the L129, and i will keep that under watch as best i can. As for sniper rifles, the LRR is the L115A3, of course. A quantity of improved L96 (now L118) also remain in use. The AW50F is in service as L121A1 from many years. At least 8 are assigned to 43 Commando for heli-snipers, for stopping fast boats on the run with accurate shots. Over 70 more are in use with EOD teams, SF and, possibly, in PARA and Marines support units. Years ago, at least, i read that 12.7mm rifles were used by them, but it is not easy to verify. There should be also some Barrett L82A1 in service, as well (SF?). But the Long Range Precision Anti-Structure was a demanding requirement which went out in 2009 and progressed in 2010. Last i head, the AS50 and the semi-auto Barrett had been shortlisted, and 8 rifles of each kind were to be procured for trials. The requirement was for at least 50 rifles. I never heard who won. But the other day a tender notice came out from the MOD calling for rifle spares, and it includes the "Long Range Precision Anti Structure", without saying what it covers (L121A1? Barrett? AS50? All of them? No idea). Very comprehensive reply. Thank you very much. There's nothing insane about buying extra kit for a campaign and then retiring or demobilising it at the end of said campaign. It is normal practice. The automatic shot-gun. Seemed a good idea but in practice it doesn't seem to have been very useful. Wouldn't fancy their use in the jungle as I doubt the shot could penetrate dense jungle very far. And even against a semi-modern enemy like ISIS I wouldn't fancy my chances of a shotgun getting through even basic body armour. We were issued them, everyone argued over who would get to carry them and after a couple of contacts everyone was arguing over who didn't have to carry them. A very niche weapon. O.K, Phil, I bow to your superior knowledge. I'm obviously wrong about that (the shotgun, I mean). On the other point about retiring weapons after the campaign for which they were specifically bought has ended, I wonder why the opposite policy has been pursued by the Government/MOD/British Army concerning vehicles. In that case, everything, including the kitchen sink, is being brought back from Afghanistan and going into core. They even had a change of mind about Warthog. What makes vehicles so indispensable and different from small arms? The much higher investment they required, and the fact that protected mobility and a renewal of armor in the british army was and is long overdue. Finding a role for pretty much every vehicle wasn't very hard at all, indeed. Fitting them in the budget was probably tough, but finding out how to use them enduringly was probably very easy. Small arms are more easily sold off or assigned to other users than complex armored vehicles such as Mastiff. Hi Gaby. Thanks for this. Can you definitely confirm that each Light Role Btn will receive 3 x GPMG platoons? I have read on Arsse that there will be only one, with each company just receiving a GPMG section. If you are correct, it is a major increase in firepower. It seems that it will be called Manoeuvre Support Platoon, and each company will have its own. Of course, despite being called Platoon, it might actually be closer to a section in size still. I don't know how many men it is planned to have, but as i've written it is to field 6 GPMG. So probably its head count will be effectively quite a lot lower than that of a traditional platoon. The lowest one can expect is 12 men, i'd think, as at least a couple men per gun will be needed. Probably some more. Larger than a rifle section but considerably smaller than a platoon is a good guess. You choose how to call it...! Thanks Gaby. The implication in the arsse comment was that each light role inf company would only receive 2 x GPMG, not the 6 you are talking about. I think what you are saying is good news actually - it's certainly a significant increase in firepower as I mentioned. The pictured upgraded to the LSW is interesting , any news on 'another' up grade for the rifle ( L85a2) ? Not really, no new details save for possible introduction of suppressors. Powered rails and weight reduction remain the two main targets in possible further modernisation. I just cannot believe we've got to the point where the British army can't deploy a battalion without calling up reserves. And no one seems to think this is madness! Im curious, if we dont count reserves, REME, RE or RLC, how any of the 561 still exist? Reserves aren't counted in the 561 establishment figure. Nor any RE, i don't think. There will be some REME, but not many, some AGC, some Royal Signals and some RLC, but the numbers should be low. So its 561, plus the Three Reserve Platoons, plus the assault pioneers, plus the 50 REME? The pioneers are part of the 561 establishment. I don't think the REME are more than 20 in the 561 figure, the uplift for deployment comes in addition. And the reserves come in addition as well. Assuming the reserves are able to deliver, the battalion is as big as a peacetime one pre-cuts, and possibly a little larger. However, prior to Army 2020, the reserves / wartime establishment uplift would add a fourth company, actually, making the deployed battalion quite a lot larger. The infantry company of the british army is quite small, compared to that of other armies. The firepower available is also considerably lighter, especially if the 60mm Platoon mortar goes. OFFS Ive lost this twice! "Drums Platoon - was in the GPMG SF role; now re-training to take up Assault Pioneer role; learning Explosive Method of Entry (EMO), water purification, concreting etcetera "
I think its fair to ask if they are really infantry, trained to aggressively engage the enemy, or engineers, trained to defend themselves and build (or breach) sangars. If they are Engineers who have been rebadged for political reasons, I think its fair to ask just how much of the (small) battalion is Regular Infantry, and how much is reserve and support. Assault Pioneers are infantry first and foremost, and aren't new. They were there before, and they are making a comeback. Pioneers had been concentrated in 23 RLC Regiment, and its reserve companion, but both formations have been removed, making it more needed than ever to return to the Assault Pioneer platoon inside infantry battalions. CIS / Signals platoon and MT have always been part of the battalions. I am curious to find out how the tests with a platoon equipped with suppressors go. Hearing loss is a huge issue among soldiers and this will help reduce the worst of it at least. There is also tactical merit for it. Because of the bullpup nature of the L85, the added length isn't going to be that major of an issue as it would with an L7. But I suspect the biggest hurdle will simply be cost and logistics. That and weight. The L85 these days has many good points about it, but it continues being a damn heavy rifle. Gabriele, great article and it seems a damn shame that those Mistrals look likely to end up in the hands of the Russians. This is completely off topic..... I was reading some of your articles back from 2012 on the composition of the RAF's frontline squadrons in 2020. Back in October 2012 you posted that the intention was to in fact keep the Tranche 1 Typhoons and move toward a 7+1 structure with 7 Typhoon squadrons and the single F35 one. That was two years ago and although I may be mistaken an update on whether the RAF is keeping the Tranche 1 typhoons could not be found when I was searching your more recent articles. Do you know if it is still the RAF's intention to field a 7+1 frontline squadron structure in 2020? ( I certainly hope it is, a 5+1 structure as previously touted sounds totally unacceptable!). I'm afraid 5 + 1 is the plan for 2020. Tranche 1 is going to go, and the aspiration to have at least a sixth squadron seems to have died down. Hmmm...perhaps a disguised opportunity exists here to "adapt and overcome". here are my thoughts. Let's assume the light role maneuver support platoon has a strength of 18 (a PLHQ of 1+2 plus three GPMG detachments of 0+5, each with two GPMG teams under an NCO-gun controller. With 2 "standard" regular force rifle platoons, that gives the light role company a "bayonet strength" of 29 + 29 + 18 = 76 from its "regular army" component. PLHQ (1+3): Platoon commander, Platoon sergeant, signaler and a rifleman driving an ATMP to carry ammo and stores. That's 75 men. Send the 76th man to Coy HQ to augment their strength. 2. Constitute a fourth (true reserve) rifle platoon of 25 with a PLHQ of 1+4 and a Platoon Assault Group of 5 fire teams (0+20). This can be used as either an actual fourth rifle platoon or as a LOB (left out of battle) reserve to reconstitute the other three platoons up to strength after a punch-up, replacing entire fire teams in the firing line if need be. "You Canucks think funny, don't you." "Yep. We're born that way." Slight math error in my last post. If the reserve platoon donated a fire team to each of the existing three "new model" rifle platoons then it would have residual strength of 29-12=17. This would be only sufficient to provide a LOB pool of 3 fire teams using conventional organization. You certainly do your research. Take a look at this British Army blog. I think you'll like it.